The Project Graduation committee is asking for your help! 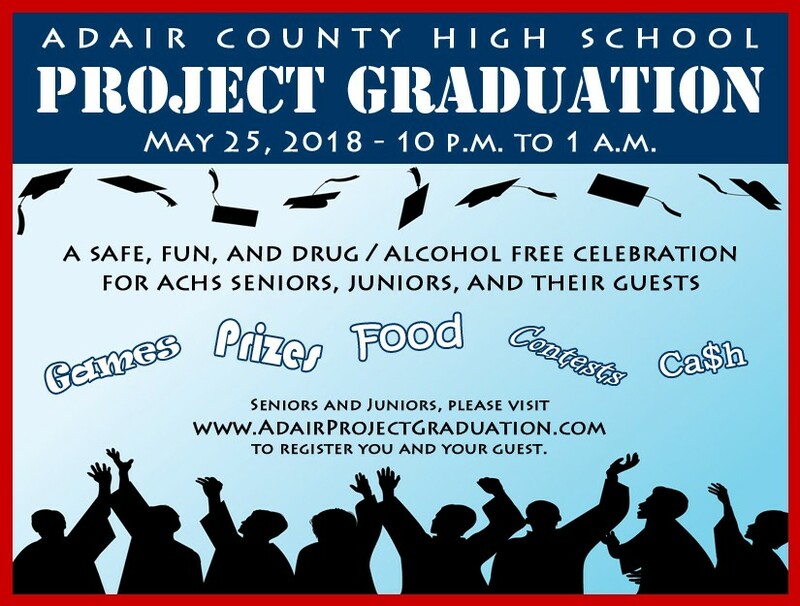 Each year Project Graduation provides a safe, fun, and alcohol/drug free event for the graduating senior class. Seniors, juniors, and their guests are invited to attend. Please help promote this event by sharing the attached graphics on social media and with any juniors and seniors that you may know. If you are interested in volunteering to help, please reply to this email. 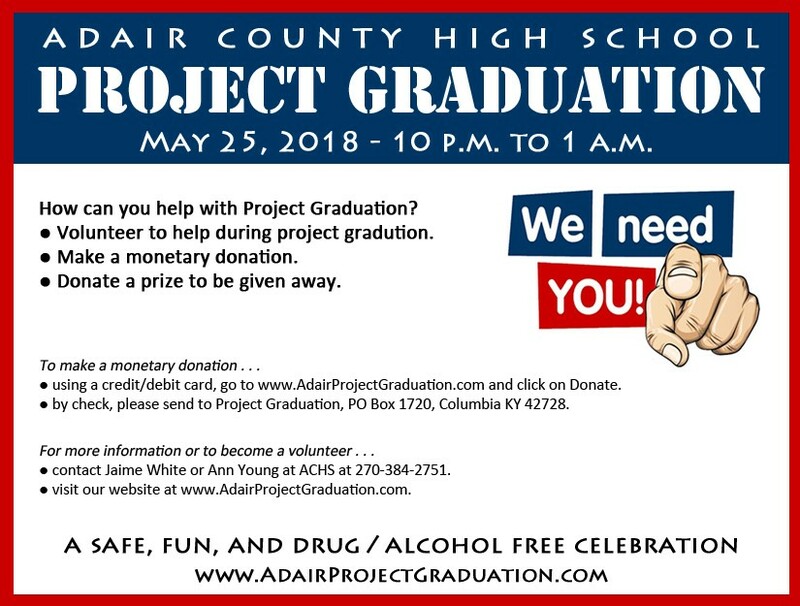 Also, if you have a connection to an area business that would like to make a gift or monetary donation, please visit our website, www.AdairProjectGraduation.com, and click on Donate for more information.